Ebola is a severe and often fatal disease in humans. It is also known as Ebola virus disease (EVD) and Ebola hemorrhagic fever. The 2014 Ebola outbreak is the largest Ebola outbreak in history and the first in West Africa. The U.S. Centers for Disease Control and Prevention (CDC) and partners are taking precautions to prevent the spread of Ebola within the United States. 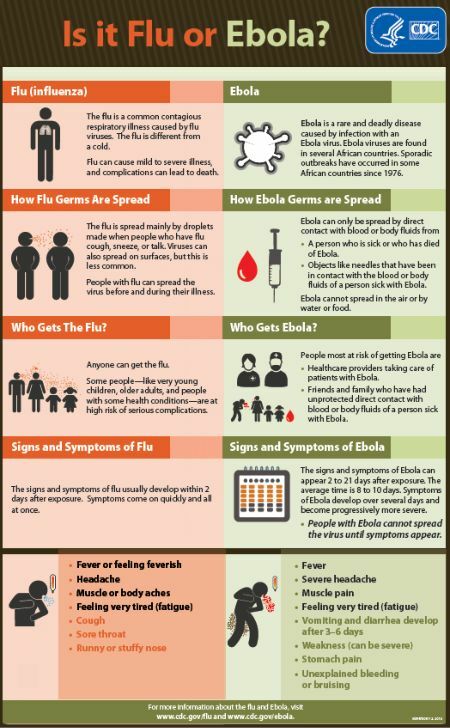 For current information about Ebola, visit the CDC Ebola webpage . CDC has developed Ebola prevention and control recommendations for healthcare workers, laboratory workers, air medical transport, mortuary and funeral workers, and first responders such as firefighters, emergency medical technicians, and police officers. CDC has also developed guidance for airline workers, wastewater workers, and humanitarian workers. CDC has also developed guidance for U.S. hospitals preparing for possible Ebola patients, including frontline healthcare facilities, Ebola assessment hospitals, and Ebola treatment centers. A list of current U.S. Ebola treatment centers is provided.